So this recipe is a bit strange coming from me for numerous reasons: 1. 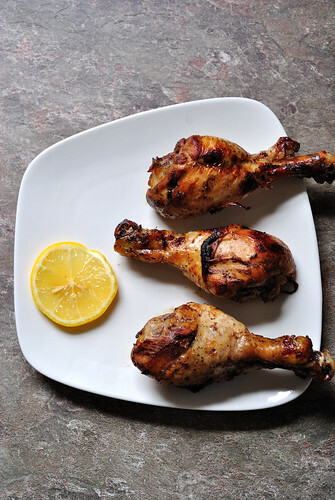 Chicken drumsticks are NOT my favorite - they're up there with chicken wings on "foods I'm not crazy about". 2. I really dislike meat on the bone - it's a thing. A weird thing, but a thing nonetheless. I CANNOT just eat a chicken wing or drumstick - I have to pick off all the meat with a fork and then eat it. 3. I'm really, REALLY over chicken. 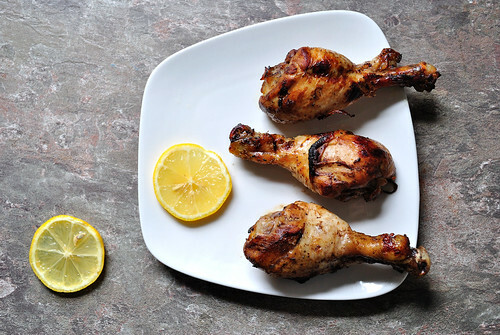 I'm sure at this point you're thinking "uuuhh, so if you dislike drumsticks and are sick of chicken, why are you talking about a recipe for CHICKEN DRUMSTICKS?". Simple: because these drumsticks changed my mind. I picked up a giant packet of drumsticks on a whim at Whole Foods to have some easy, prepped protein on hand for lunches since I'm over chicken thighs and chicken breasts. I threw them in a marinade for a few hours and then baked them in the oven and hoped for the best. They smelled AMAZING while cooking and luckily, they tasted amazing too!